When the next Assassin's Creed Odyssey DLC set launches, Ubisoft will offer a shortcut to the content to players who don't want to grind through the the required level. However, there's a big catch. In 2003, Ubisoft released the cel-shaded first-person shooter (pronounced thirteen) on the GameCube, PlayStation 2, Xbox and PC. Now, a remake of this unique-looking game is coming to the Nintendo Switch, PlayStation 4 and Xbox One later this year on 13th November. For those who haven't played it before, it's loosely based on five volumes of a Belgian graphic novel dating back to 1984 (written by Jean Van Hamme with artwork by William Vance). In the original game, David Duchovny - best known for playing the FBI agent Fox Mulder in the X-Files - voiced the game's protagonist. Ubisoft has outlined a ton of The Division 2 upcoming PvP changes that are now being tested on the PTS for PC! Cult cel-shaded first-person shooter XIII is getting the remake treatment, and will launch on PlayStation 4, Xbox One, Switch, PC, and Mac this November. 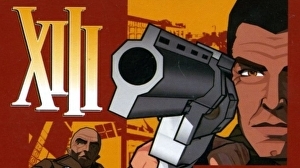 The original XIII, which was based on the celebrated Belgian graphic novel series of the same name and developed by Ubisoft Paris, released on PS2, Xbox, GameCube and PC in 2003. It follows the (invariably shoot-y) adventures of its titular hero, whose life takes something of a down turn when he wakes on Brighton Beach with amnesia, only to discover he's been accused of assassinating the President of the United States. XIII quickly found a loyal following, in part thanks to its striking cel-shaded art-style, but equally thanks to its taut gunplay, unfolding across a solo campaign of 34 levels, plus multiplayer. In solidarity with everyone moved by Monday's events were donating to the restoration for Notre-Dame & giving you the chance to play Assassins Creed Unity on Uplay for free. “In light of Monday's events, we will be donating €500,000 to help with the restoration and reconstruction of the Cathedral. We encourage all of you who are interested to donate as well," says Ubisoft.